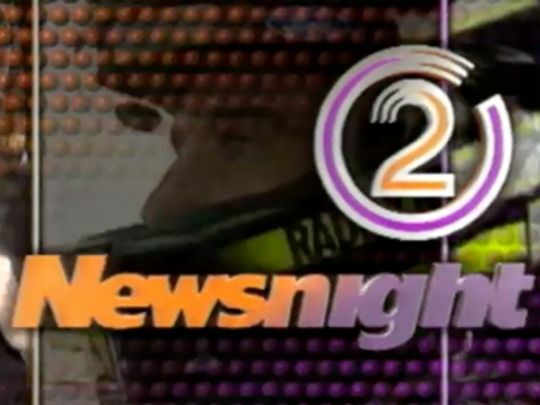 Condemned as "designer news" before it had even been to air, Newsnight was TV2's foray into late night news for a younger audience (with one eye on the success of TV3's Nightline). Strongly influenced by the celebrity and human interest focus of women's magazines, it received an unsuccessful BSA complaint for not covering a major story (a teacher's strike). Simon Dallow made his TV debut alongside Lorelei Mason and then Alison Mau — while Marcus Lush's idiosyncratic take on the world earned the show a degree of cult (if not always critical) success. In these excerpts from TV2's late night news show, Simon Dallow watches new American boy band All-4-One perform in an Auckland record store and interviews them about the trappings of fame. Meanwhile, Marcus Lush channels Country Calendar as he investigates a novel new agri-business venture: an emu and ostrich farm near Katikati (although it's unlikely his colleagues on TVNZ's venerable rural show ever gave their watches to animals to play with). Lush's verdict? The world's biggest living birds ("because we killed the moa") are "more fun than sheep". In these excerpts from TV2's mid-90s late night news show, reporter Mark Staufer talks to Chic Littlewood about a TV career that has taken him from Chic Chat, his 1970s kids show (with puppets Nowsy and Willie McNabb) to playing policeman Laurie Brasch on Shortland Street. Andrew Shaw, whose show followed Chic Chat, reveals a studio shortage at TVNZ at the time. Meanwhile Marcus Lush goes behind the scenes at a luxury Auckland hotel, only to discover a notable lack of TV set destruction from its rock star clientele. Perhaps they were too busy with the telescopes. 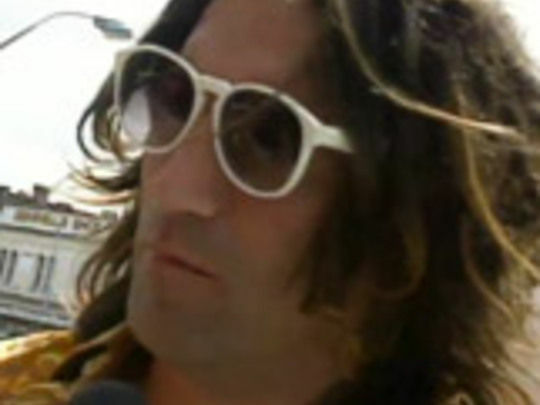 In this excerpt from TV2's 90s late night news show, a bemused Mark Staufer interviews Jordan Luck (aka "slightly tipsy singer") as his band The Exponents plays on a rooftop on Auckland's Karangahape Road, to promote a new album and summer tour. The jokes about not falling off may have a point. Luck suggests the new release is "a magical recording of ancient times" and confirms that they will be touring the whole country, "and Greymouth as well ... and Westport". The bakery underneath is long gone — replaced by an adult shop. Bassist David Gent also says some words.